This item is part of: Lenski New Testament: In Twenty Volumes. Pastors and students of the Bible who seek deep and detailed engagement with the text of the New Testament have long relied on R.C.H. Lenski's classic text now available again. Even though its historical-critical work has been surpassed, the strong narrative quality, accessibility, and "holy reverence for the Word of God" (Moody Monthly) of Lenski's work have allowed his commentary to continue as an excellent resource for serious study of the New Testament and sermon preparation. 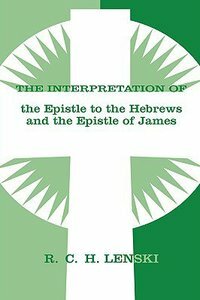 About "Interpretation of Epistle to Hebrews & James"